Harvey Grammar Books ⭐ Your Short Cut To Learning Grammar! 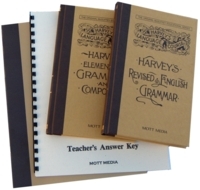 Harvey's Grammar Books "In Review"
I have used the Elementary Harvey Grammar and Composition book and found it to be a concise book from which to learn English grammar. Once upon a time there were two tiny English grammar volumes written by Thomas W. Harvey in the 19th century that cover most anything that anyone generally needs to know about grammar. Then along came the big book companies who wanted to sell loads of books to schools all over the nation. Finally some people "caught on". "We don't need a bookshelf full of books to teach grammar!" Yes, these are super compact. 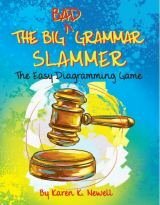 One can learn the basics of grammar simply by reading the book; yet if you like the logic of diagrams, you'll have to add diagramming exercises. For the size and the price Harvey's Elementary Grammar has an excellent quick survey of the English language. In my opinion an adult can read the book in two hours and catch up on all of his basic grammar lessons. As a matter of fact, the faster that one reads this book, the better he can make the connection that most of grammar is naming the use of a word as it is used in sentence construction. Truly many of the words in grammar mean the same as they do in everyday life, for example: conjunction (with join), preposition (pre position - before the noun), relative (related). A child would need a teacher who has experience with sentence construction. The Answer Key is super helpful here, too. It's always easier to check the student's work with the answer handy than to have to figure the answer every time. 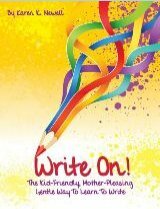 Once one understands the connection between the names and the use of the words descriptive writing and prescriptive writing (instructions, legalese) becomes easier to edit for correct form. 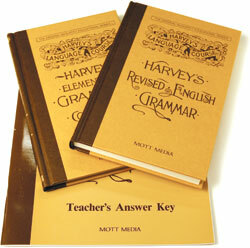 To wit, remember that the Harvey's Elementary Grammar of old was ONE little 120 page book! A tiny book! The principles of writing and grammar are simple. They do not need a three foot stack of K-8 books to be taught well. 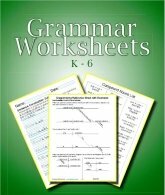 If you are looking for the easiest way to teach from English Grammar lessons, this little book is an excellent start. It is also inexpensive to buy, especially since it is frequently available at Amazon as a used book, too.